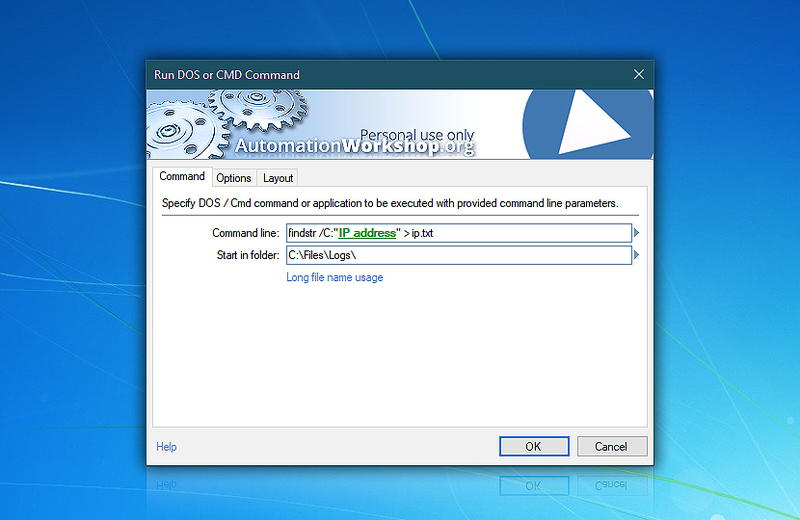 Run DOS / Cmd command · brings Windows command prompt (C:\>) and batch file support directly into the automated Tasks. 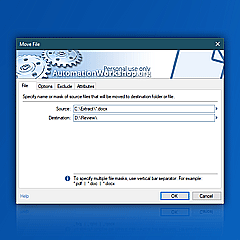 Various options allow the command prompt operations to be started and finished exactly the way necessary to streamline them into a workflow. Using command line proves useful whenever there is a need to use existing scripts or 3rd party applications. Automation Workshop is performing brilliantly. After a while you just forget it's there. —Anthony G.